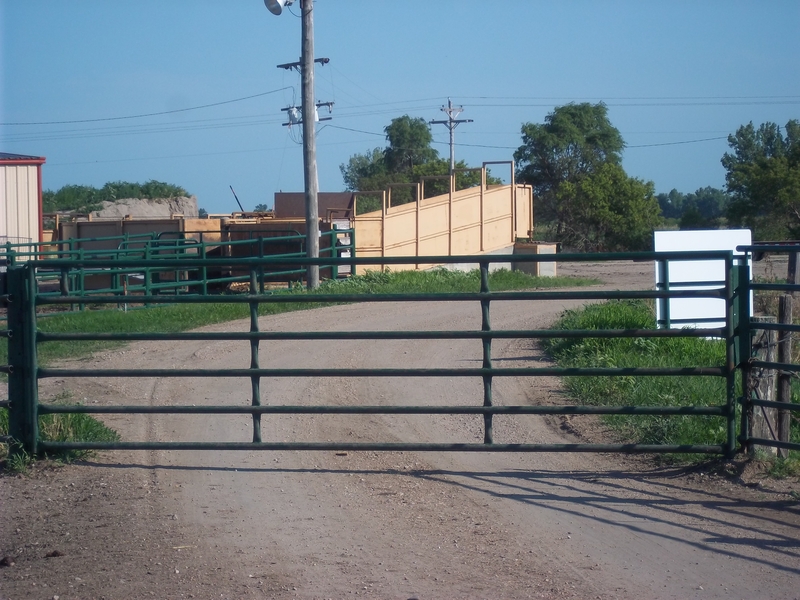 When you raise cattle, a gate can be both your best friend and your greatest foe. 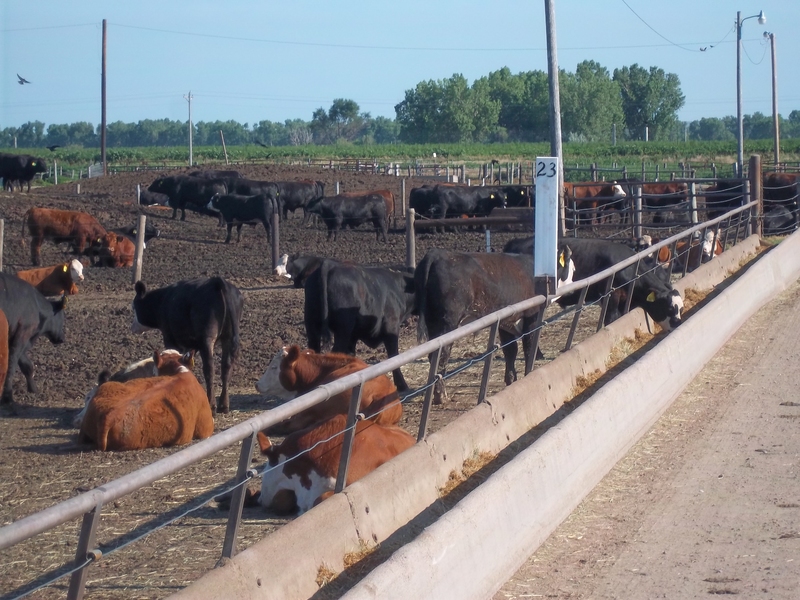 Fence lines and gates enable cattle caretakers to ensure that their animals “stay where they are supposed to”—on pastures and in the cattle feed yard. 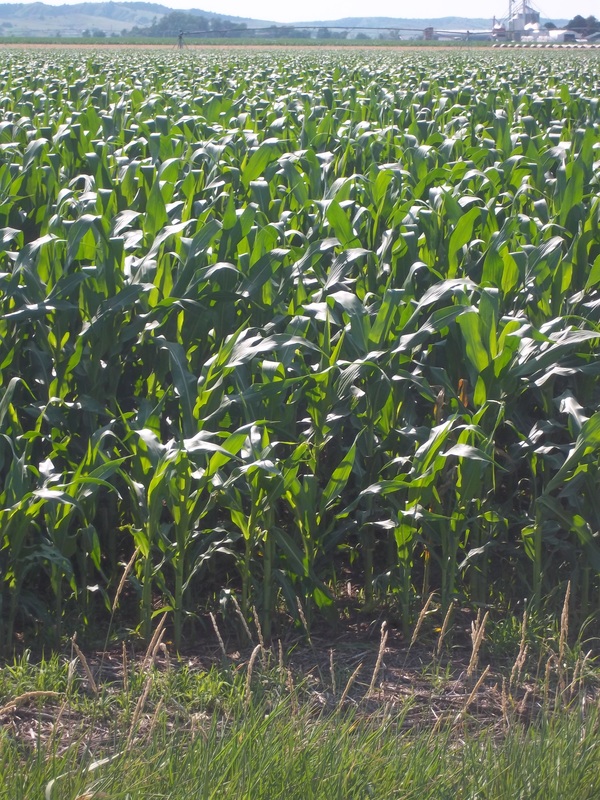 They keep the animals out of dangerous places such as roads and railroad tracks, as well as neighboring crop ground where the cattle can do significant damage to growing corn and soybean fields. So, as a cattle caregiver, gates and fences are my best friend and my greatest foe…They are my best friend when they are in good repair and closed. They are my greatest foe when they are damaged or left open due to negligence. It is the “golden rule” on our farm that if you open a gate you ALWAYS close it. Karyn (my six year old) standing by a CLOSED gate! My six year old will even give you a lecture on it because she knows how important it is. 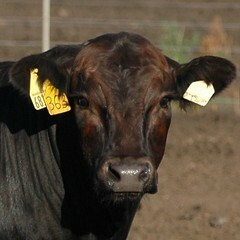 Calf #718 was able to grow and thrive on both AL Ranch and at my farm because our systems of gates and fences worked. Al and Sallie maintain miles and miles and miles of fence line and many, many gates. For the system to work, all must be in good repair and cattle caregivers must be diligent in ensuring that gates are closed. I spent all night Friday night unloading new calves at the feed yard. 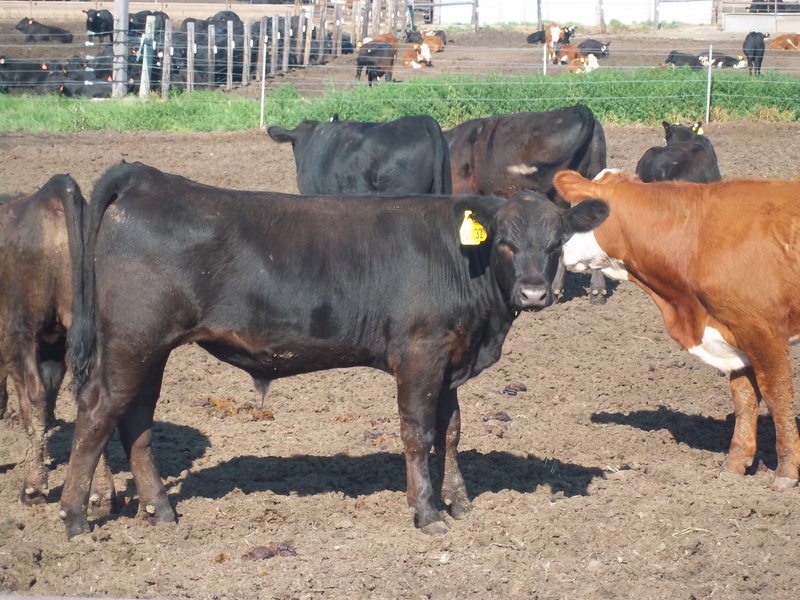 These calves were shipped north to Nebraska because of the terrible drought that is occurring in northern Texas. The drought has devastated the pastures in that area and calves are being shipped to feed yards like mine because there is no grass left to eat. We vaccinated and de-wormed the new cattle early Saturday morning, and then set out to move the calves into the “home pens” where fresh feed and water awaited them. Something spooked the calves that were placed into Pen 23 and about 45 head broke through the back fence and were loose within the feed yard facility. We have systems set up at the feed yard to deal with this—we have a perimeter fence that keeps the cattle inside the cattle feed yard even if they get out of their pen, and all four of us caregivers at the feed yard follow a “protocol” when this happens to minimize the amount of cattle that are loose and contain the ones that get out. 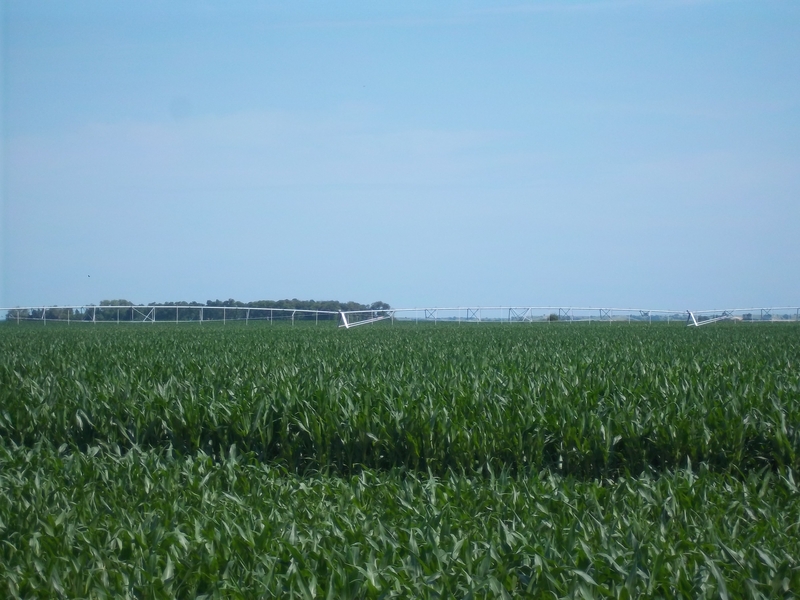 A pivot is a big "sprinkler" that travels in a circle irrigating crops. My system failed on Saturday. My system failed because the custom crew that built my new LWCF (Livestock Waste Control Facility) were out working on my pivot (the big sprinkler that irrigates the corn field north of the feed yard) Friday and did not shut the two perimeter gates along the east side of the feed yard when they went home Friday night. My system failed because my crew and I failed to double check that the perimeter gates were closed after the crew of workmen left. We ended up with about 45 head of cattle getting out of the feed yard and running loose on neighboring farm ground. We (along with several wonderful neighbors) have worked tirelessly all weekend trying to find the “missing cattle”, and I am sorry to report that there are still 13 head running loose. The corn is taller than I am right now, so it is very difficult to see cattle if they are out in the middle of the field. Rules like “closing gates” are so simple, yet so important to follow. It may be harvest time before we find all of the missing cattle. We may never find them all. Today, I am exhausted and feeling terribly “beaten” down. I thought that I had a system in place to prevent things like this from happening—in the fourteen years that I have been at the feed yard, we had never had a calf get loose until Saturday morning. I will move forward and tomorrow will be another day, but this weekend will forever stick in my mind. I failed my animals, and that is a very difficult thing for me to accept. We will keep looking…We will keep caring…We will keep praying that we will find the lost cattle. We will ALWAYS double check the perimeter gates before we move cattle. We will learn from our mistakes and hope that tomorrow is a better day. It happens to the best. Here in Maryland on a small farm next to developments and busy roads, its really scary. Keep your chin up! At least they didn’t break into an alfalfa pasture, so hopefully they must still be alive. Thanks for the transparency. Few colleagues would even think about speaking out something as embarrasing as this episode. Life goes on. Thanks for your comments. 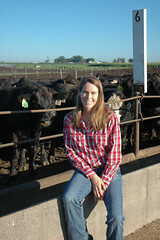 I feel like if I am going to share the story of “where your beef comes from”, then I need to tell the whole story. While I love being a “cattle farmer”, there are days that are incredibly challenging. Days when it seems that little is going right and I am physically and mentally exhausted. Last weekend was one of those times. 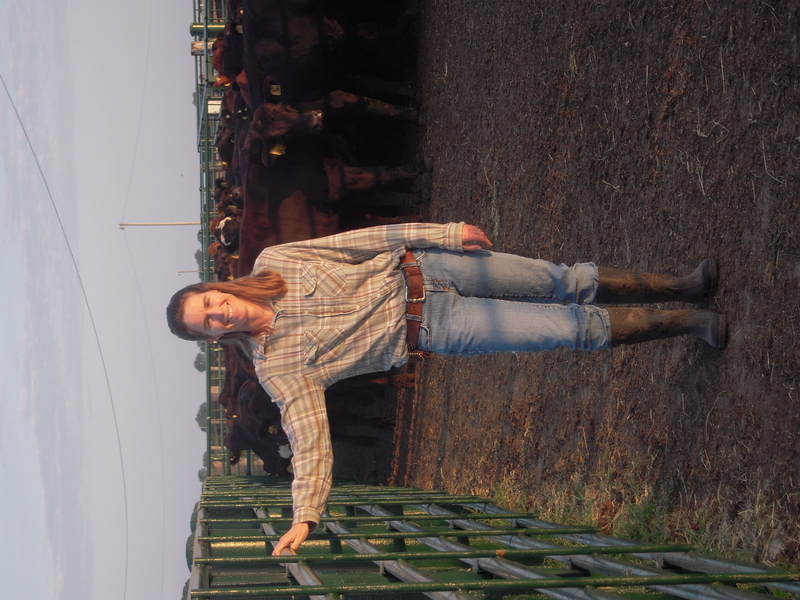 Cattlemen/women (like me) are people and we do make mistakes no matter how hard we try not to. The people from the outside that we have to hire to be in compliance with environmental regulations are sometimes not as diligent and careful around livestock as we are. That was the case last weekend when the custom (outside) crew left the gates along the East side of my farm open. I forgot to check it Saturday morning because I had been up all night unloading cattle, and being human, was tired and made a mistake. 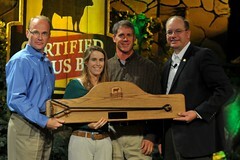 I think that it is important for every consumer to realize that it is people that care for cattle and raise beef. Real people like me who work hard–who have good days and bad days–who are dedicated to moving forward and doing their best to offer the best care to their animals–but who also sometimes get tired and make mistakes. Thanks for reading and commenting. I like hearing from the folks that follow the blog. I was taught by my Grandpa to “train” the cows to come to a familiar noise or whistle that meant a treat of corn or “snack” was over here. Many times it worked well when cows got out even in lush alfalfa fields. I still do that to this day…..they’ll follow me into the new secured area. I know each farm and setups are different but that lesson has really saved me a lot of frustrating time. Good lesson on the gates! Great suggestion Steve. 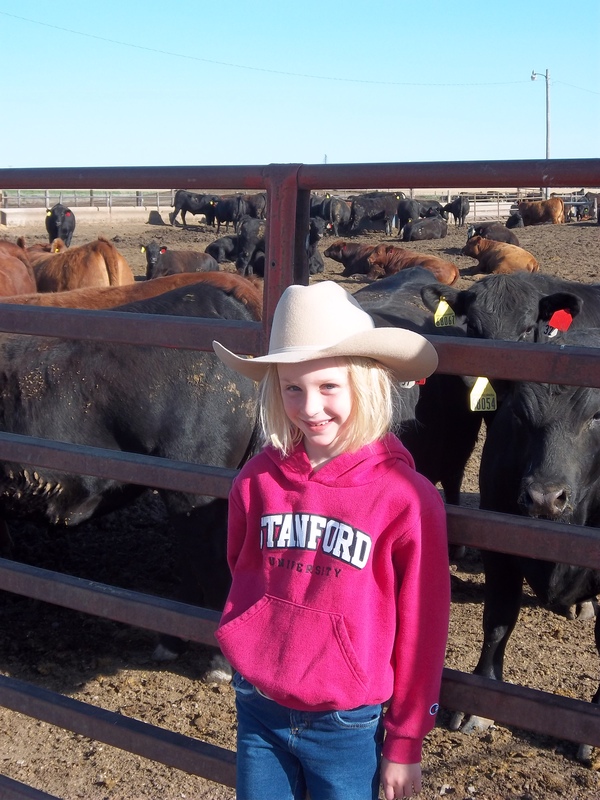 I have heard of other cow/calf ranchers that are very successful doing this as well. Unfortunately, I had only had the calves for less than 24 hours prior to them getting loose so there was not time for that type of training. I have, however, used an idea along the same lines as this to help get some of them back. Stay tuned for the next post! Oh Anne, it happens to all of us! And having it happen with a new set of calves is the first. Those little buggers can go for miles! At our old facility we didn’t have a perimeter fence. One fall the coyotes spooked a pen of new cattle in the night and they broke through our PIPE fence! We luckily found all of them the next morning, but they were 6 miles away. It sure was fun trying to drive those bawling calves home! Hope you find the rest of your missing calves VERY soon! !